Back in Pickax, Jim Qwilleran expects to resume a quiet life, but the people and animals of Pickax have other ideas. A noisy cardinal wakes him every morning. Nosy neighbors drop by uninvited, and the Siamese misbehave, even sneezing on guests. As if they weren't bad enough, Qwill's long-time companion acts as though she is in love, with another man. But worst of all, Qwill finds a body in his apple orchard. 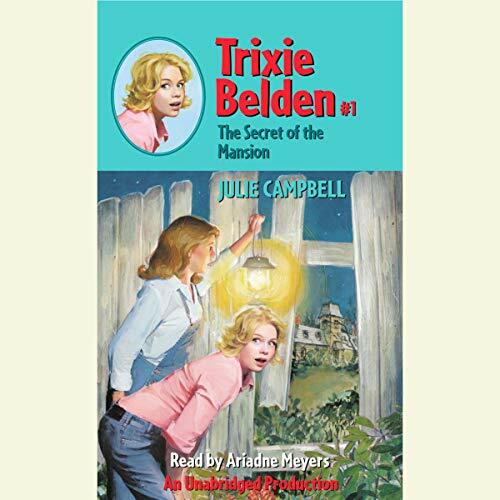 Trixie first appeared more than 50 years ago in The Secret of the Mansion, which was followed by 38 other adventures as generation after generation of readers grew up with mystery-loving Trixie and her friends. Now, after 15 years, Trixie is back to make fans of a new generation! Trixie can't believe she's stuck in Sleepside all summer while her lucky brothers are away at camp. Then a millionaire's daughter moves in next door, a runaway kid hides out nearby, and rumors heat up that the old mansion on the hill is filled with a fortune. Maybe the summer won't be so boring after all! 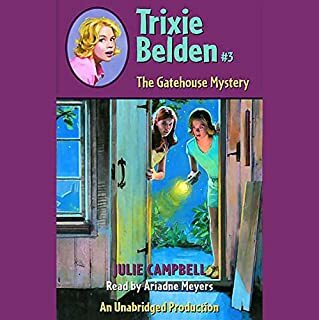 Listen to more Trixie Belden mysteries. I have (almost) 8 year old twins, a boy and a girl. We listened to this book in the car over spring break and it was darling! It had adventure, and intrigue which kept them both hanging on every word. But what I really liked was the "folksy" way the book was written with values that seem to have fallen to the wayside in this day and age. I think the copywright was from 1950 but my children didn't even notice it was 60 years old! From a parent perspective it was truly refreshing to listen to a wholesome book. This was a nice treat and we'll keep listening to the Trixie Belden series. 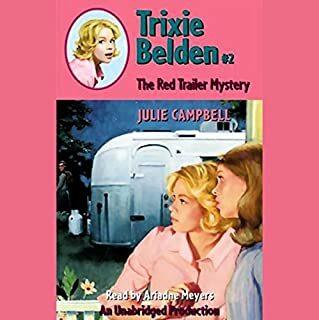 A new Trixie Belden fan! I just finished this first Trixie Belden adventure and enjoyed it thoroughly. Somehow I missed these while growing up, but am going to catch up real soon as Audible releases more of the series. 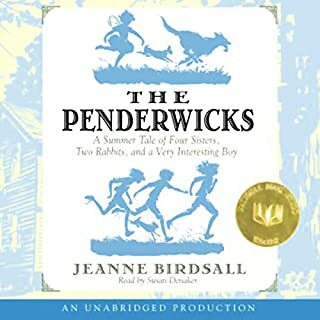 The narrator is wonderful, the characters believable and likeable. 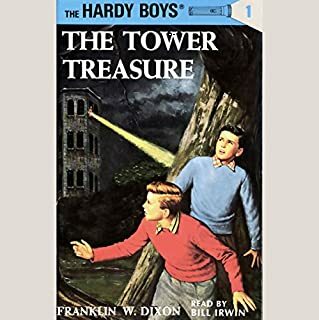 For a book obviously set in the 1940s, it's timeless...a great story of youngsters spending their summer having fun in the outdoors. No video games or shopping malls here! A great listen for a 47 year old as well as pre-teeners. Would make a wonderful vacation trip listen for a family. Thank you Audible for obtaining these! I read (and reread) all of this series as a child and it was great to hear them so well presented in an audible format. 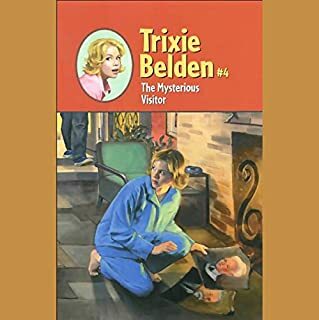 The Trixie Belden series were my favorite books to read as a youngster. I am really excited that at least the first four are available for listening. The narrator is mostly pleasant when reading the text but some of the voices, eg: Honey, Bobby & Miss Trask, are horrid! 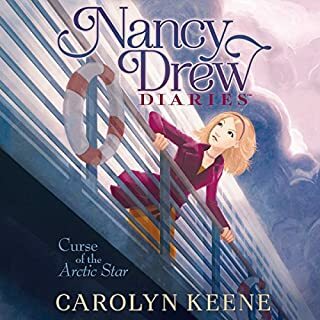 Even though I don't appreciate the narrator, I hope that more of the titles in the Trixie Belden series become available soon. What a great girl sleuthing adventure series to read ~ OUTSTANDING to listen to! Lovely story with an exciting mystery throughout! By the time we reached the end, we were almost on the edge of our seats! We can hardly wait to start the next book in the series! Gets you on the edge of your seat! The secret of the mansion is a great book for long dreary nights. This book is recommended for 5 and up.Great book with a beautiful setting and a mysterious mansion! Five Star review. Love the series, wish there were more(like the whole rest of the series). I really like a lot of the series that were written for the Baby Boomer crowd. They are good clean wholesome fun that doesn't cost money, and they display good values. We need more of this kind of thing available these days. I lvoe that Trixie is a regular kid...at least, she is as opposed to Nancy Drew and others. Did Ariadne Meyers do a good job differentiating all the characters? How? I found many of her voices merely whiney instead of different. Could you see The Secret of the Mansion being made into a movie or a TV series? Who should the stars be? Same as the other thing I posted but this time you needed to listen to it to under stand the story . If you want to see the info. go to Trixie #2.